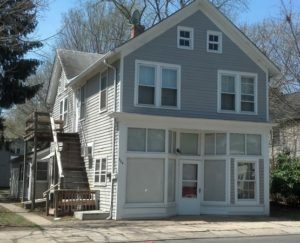 We are now accepting applications for this first floor apartment in Dover. The unit is conveniently located with area shopping, restaurants, businesses and Dover Air Force Base nearby. With newly installed central air conditioning, this apartment consists of living room, kitchen, one bedroom and full bath. Range and refrigerator are included. The application fee, per applicant, is $35.00. Credit, criminal background, and eviction reports will be run. Security deposit of $550.00 is required at lease signing. Tenant’s must transfer gas (Chesapeake Utilities) and electricity and trash collection service (The City of Dover) must be transferred into tenant’s own name prior to occupancy. Water and sewer service is provided by the owner. For more information or to arrange a showing appointment please contact Carol Eckenbrecht, Property Manager at (302) 677-0298 or ceckenbrecht@harringtonera.com.